CONTEMPORARY STYLE: Simple and sleek slat-board style platform is modern and adds the ideal accent to most home décor styles. NEUTRAL BLACK COLOR: It’s true that basic black goes with anything…from your chic city loft to your country casual ranch house, and with most room décor colors. 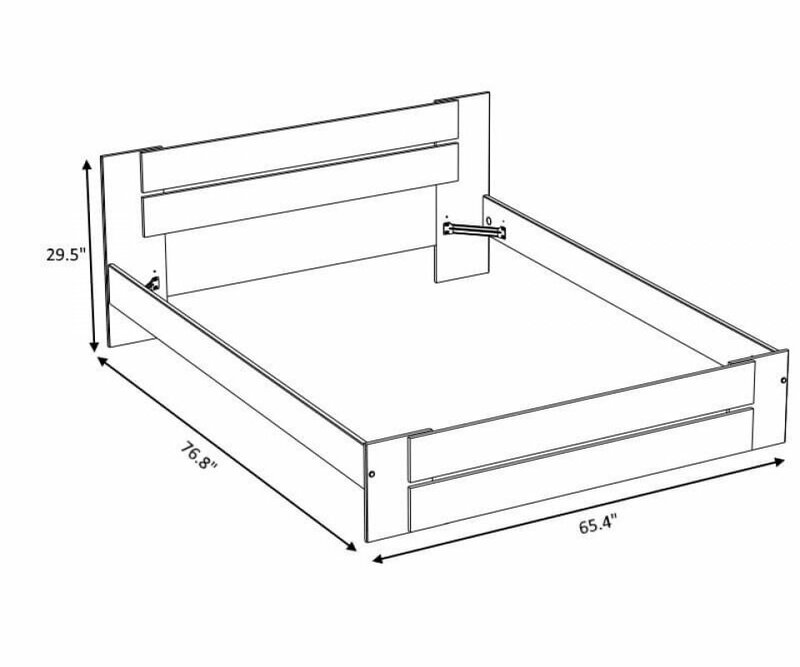 STURDY CONSTRUCTION: Built to last, your bed is made from top-grade particleboard, with heavy-duty hardware, so it won’t bow or split with normal use. TOP-QUALITY VENEER: Premium black veneer is easy to keep clean, and is resistant to scratches and chips, fading, stains or water ring damage! GREEN WAY COMPANY: The manufacturer, Parisot of France, has been awarded Green Way accreditation for eco-conscious wood sourcing, manufacturing and recycling practices. Basic Black! It’s always in style, blends seamlessly with woodgrain furniture, multiple color schemes and décor styles, and is versatile for any age, from childhood to adulthood! 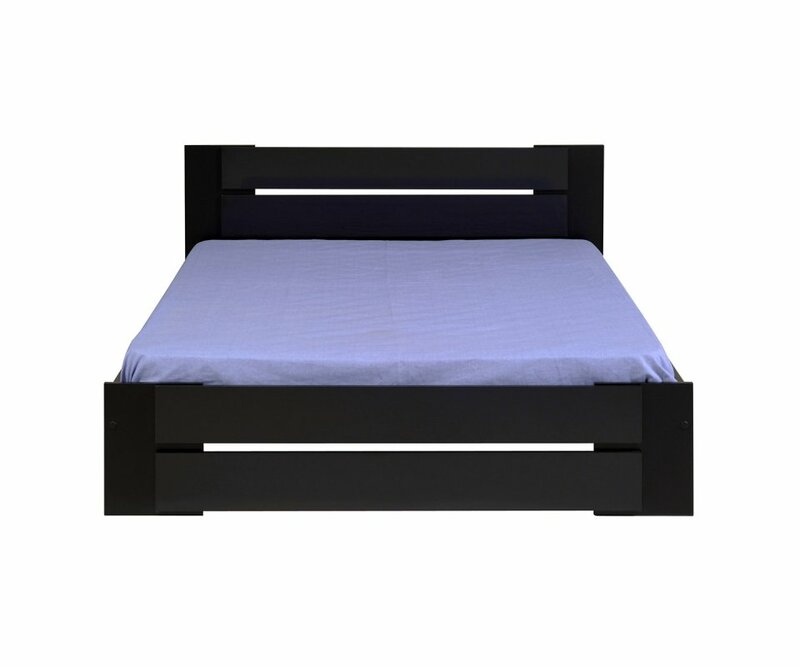 RoomSmart’s Black Platform Queen Bed combines simple slat-board styling with elegant, premium-grade veneer finish, resulting in a contemporary platform bed that adds a beautiful focal point to your sleep space, and is timelessly neutral, so you can change your décor style whenever you like! The bed frame is sturdy and has paneled sides, so comforters and sheets tuck in easily to create a finished, elegant look, without requiring a bed skirt! The platform bed is made with a top-grade particleboard core, layered with veneer that resists scratches, chips, fading, stains or water rings, and it’s easy to clean in seconds. All hardware is heavy-duty, so your bed won’t squeak or wobble, and will last for many years with normal use. 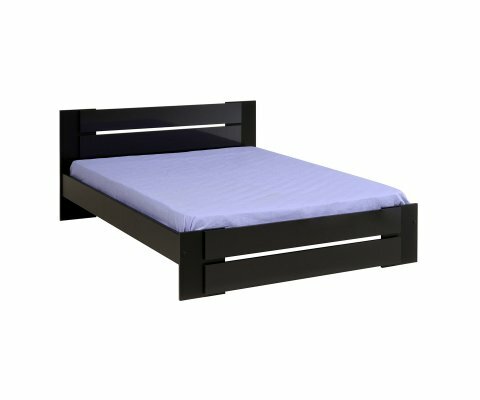 The lower height and panel sides make the Black Platform Queen Bed perfect for smaller home, apartment, or condo living, where a compact, neat appearance makes all the difference in creating a beautiful bedroom design.